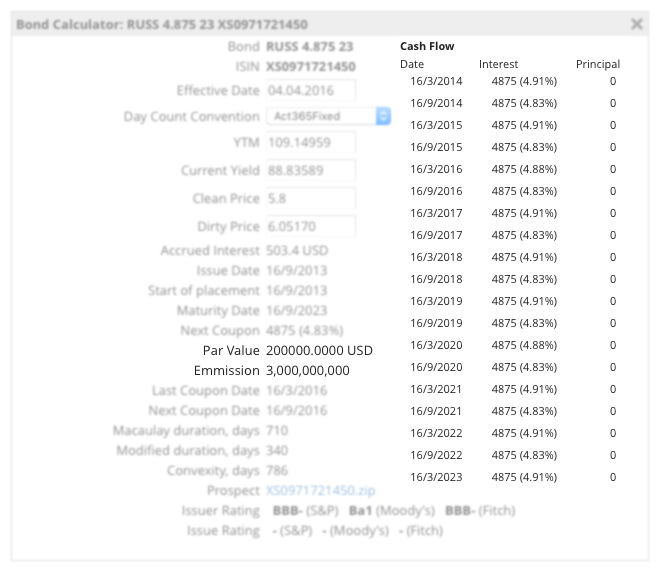 You can calculate the Yield to Maturity, as well as the current yield. 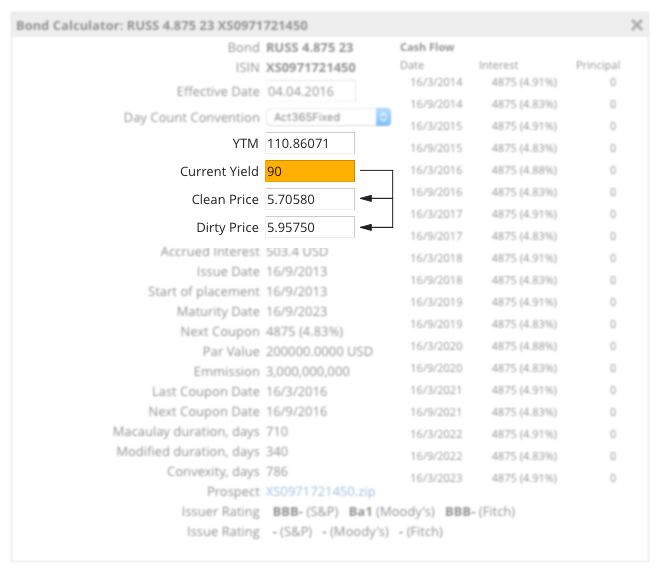 Indicate your prospective clean or dirty price, and the calculator will give you the yield (current and YTM) associated with the prices. You can also set your desired day count convention to get more exact results. You can also calculate clean and dirty price. 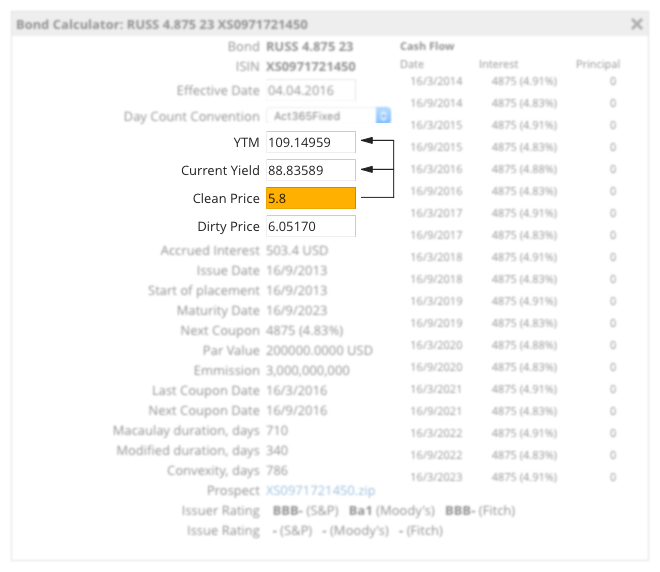 Set your YTM or current yield amount, and get instant price calculations. In addition, if you type in a specific clean price, the dirty price will be calculated, and vice versa. 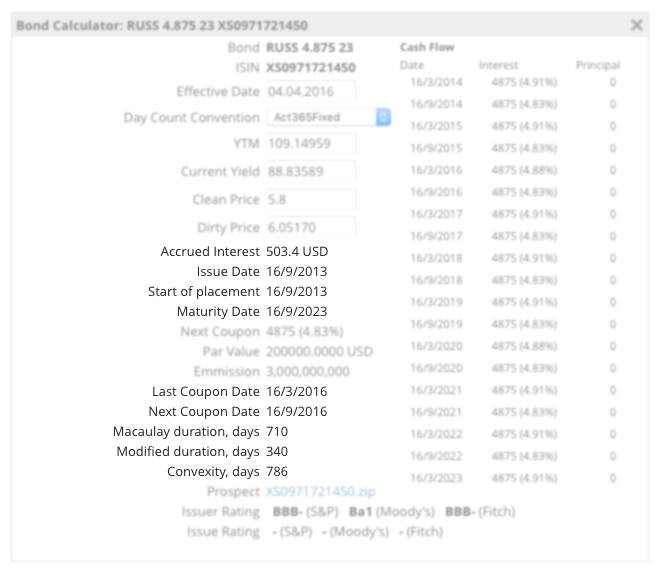 The calculator provides information on bond issue date, start of placement and maturity date, next and last coupon dates. Macaulay duration and modified duration are shown, too. 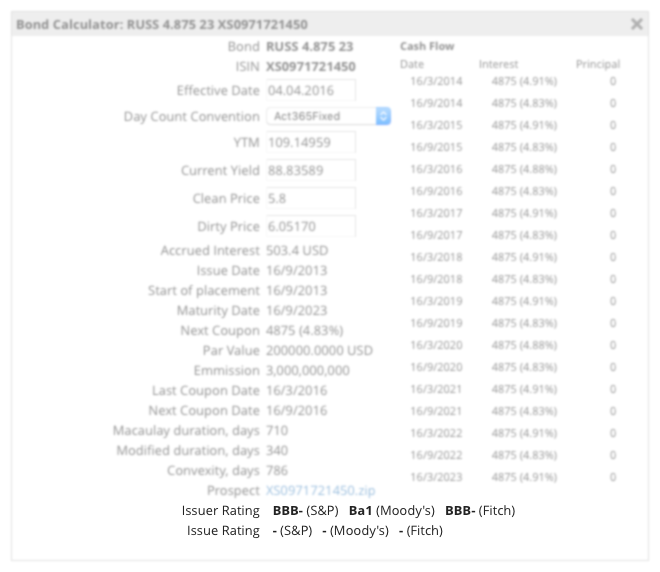 Duration and convexity in days are adjusted based on the yield and price you input. 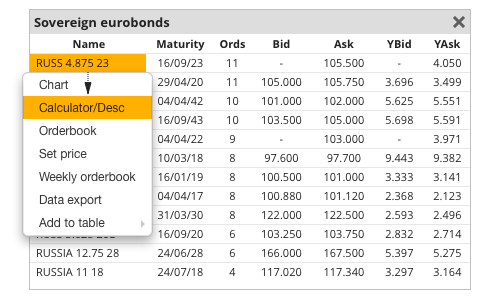 The bond rating and the issuer rating are listed directly on the widget. Ratings are available from S&P, Moody’s, and Fitch. The par value and emission of the bond are indicated. Also displayed are the next coupon and the coupon rate. You can see cash flow payments and interest listed by date on the right hand side of the calculator. How do I access the calculator?